New Trail Tail LED Tail Lights! 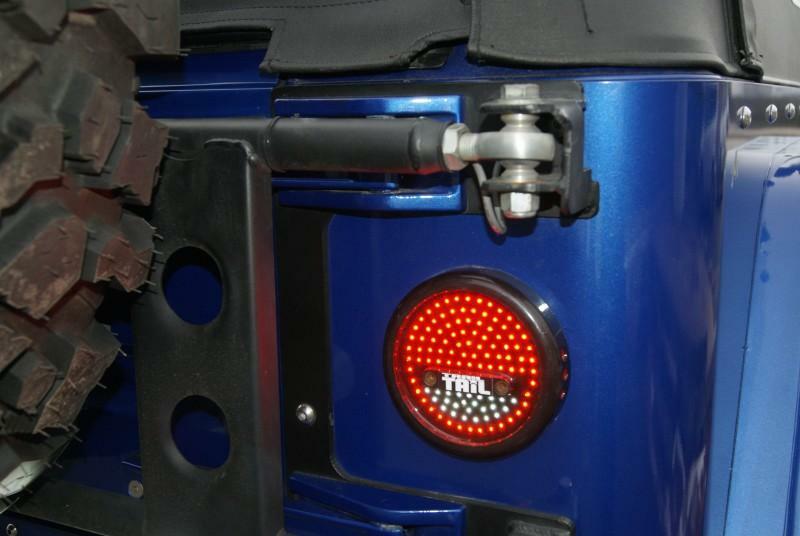 The Trail Tail LED Taillights are the ultimate upgrade to the tail end of your jeep. The slim profile takes care of the possibility of damaging stock taillights on tight trails, as well as provides a clean look. The lights are surface mounted and require a stock tail light opening if you're running our corner armor.